With newer technologies entering our lives, the possibilities seem to be endless. One sector where the biggest influences of technologies are hoped to be found is in the medical world, where newer technologies can end up saving more lives in the future. The importance of technology in the medical world is not only limited to what happens in the hospitals: there is also something called ‘Cryonics’. 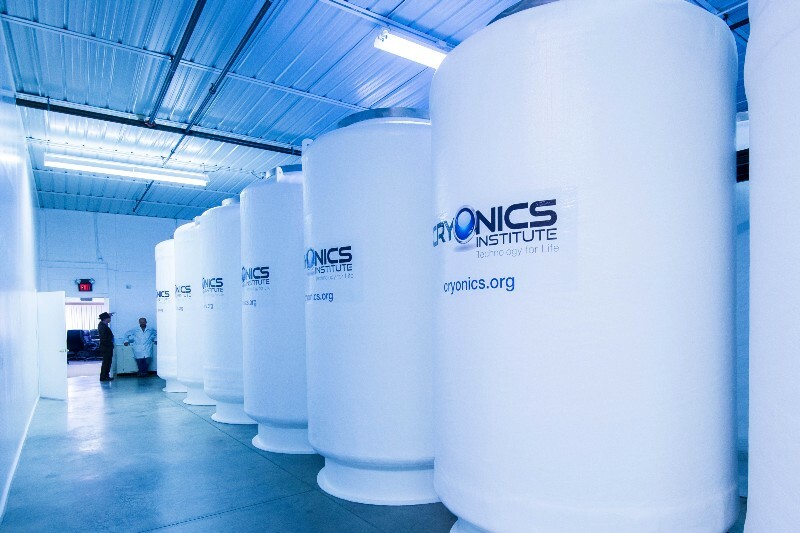 When searching around for influential technology in the medical world, I stumbled upon the website of The Cryonics Institute located in Clinton Township, Michigan. This institute with the slogan ‘Technology for Life’ was located right next to a motorvehicle store and a sailing department. So in the middle of this industrial zone, there is a building containing frozen bodies. The Cryonics institute provides people with ‘ a second chance at life: a life with renewed health, vitality and youth’. Basically what they do, is they freeze the body of a deceased person to liquid Nitrogen temperature. At this temperature, physical decay is actually stopped. The patient will be preserved until the technologies are advanced enough to replace or repair vital tissues and ‘revive’ them from the dead. This can all be done for a mere $28.000 with some additional costs, but the institute has set up different saving plans that go as low as $12 dollars per month. The institute aims to freeze the patient as fast as possible after they have deceased, so tissues will not be damaged. Maybe in a hundred years, technology will be able to repair the tissues that caused the death and actually bring the patient ‘back to life’. Once ‘revived’, the patient might be able to live the second part of his or her life to the fullest. These 3 meter high containers are the current home to the patients of the Cryonics Institute. Here, the patients have been frozen to liquid Nitrogen temperatures of almost -200 degrees Celcius. They describe death as a process instead of an event, meaning that it takes some time for tissues to deteriorate. When a person dies at this point in time, technology might not be optimal yet to save them. Meaning that the cause of death might be prevented or cured in a couple of years. At this point, it might all seem impossible. However, the people behind Cryonics noticed that lifetimes have increased immensely over the past years and even immortality might be on the list of future discoveries. Things that seemed impossible a century ago, are now part of our everyday life, such as airplanes and space exploration. So why think limited when all these ‘limitations’ of the past are now reality. Personally, I really live in the here and now, and I felt some skepticism crawl up my spine while reading their explanation on the website. However, I was intrigued by the processes and wanted to know more about this institute, so I looked around further. One of the posts on the site was about emergency situations. What do you have to do when someone suddenly dies, but you do want to preserve the body for Cryonics? There was even an emergency number you could call, like an ambulance, but different. So I started thinking about my own situation and could not really imagine it. There you are when your loved one suddenly collapses. You have talked about the possibilities before and know that this person wants to be preserved for a ‘next life’. There is no pulse and the ambulance personnel pronounce the victim’s death. You immediately grab wet towels and all the ice you can find to cool the victim’s head. You have to see if the person is already a member of the Cryonics institute. Luckily, the website provides you with three different options to make sure you contact the right people. They come and pick up their patient and freeze them, only to hope that the patient might come back to life when the technology is ready. And what happens after? Imagine a man and a woman, both 30 years old , happily married and parents of two small children. The man suddenly dies of a heart failure and there was no medical procedure available to save his life. His body is frozen and stored somewhere in a building located in an industrial zone in Michigan. Half a century goes by, the children graduate, start their own lives and the mother becomes a grandmother. A breaking news story on television about a technological breakthrough in the medical world: the technology has become available and the man can be brought back to life. His heart can be repaired, the technology has become available to unfreeze him and he can finish the second part of his life. The woman, now 80, can be reunited with her husband, who remains 30. Suddenly, his own children are older than him. While he is still in the somewhat beginning of his life, his wife is almost at her end. And for him, this all happened overnight. Imagine waking up to this situation. Everything you ever knew is changed. Your life literally stopped, while the world has been turning for the past 50 years. But you can start anew. I am very conflicted. When you have not been given the same chance to live a full life, when it is suddenly taken away from you and you might have the chance to finish that life you started later on, why would you not take that chance? Obviously, there is nothing you can lose and you can literally win back a lifetime. However, what kind of life will you return to? Half a century is one thing, your family might still be alive and you will have something to return to. But what if you are revived and it is suddenly 200 years later? What if there is no one to return to? Your house is gone, your friends and family are gone, all those favorite shops have been replaced by sky high buildings, flashing billboards and flying cars. Would your brain be able to handle the world out there, even if your body can? I cannot imagine people who have never seen technology coping well within our society of today. People who have spend a lifetime in jail and return to society but have nothing left, never feel like they fit into the society and either find themselves back in jail or find another way out. As depressing as this situation might be, is the cryonics situation not exactly the same? But there could be major upsides as well. You get to experience two ‘lives’ and maybe even two worlds. You will be able to do all those things you never did before, because you have been given this second chance at life. 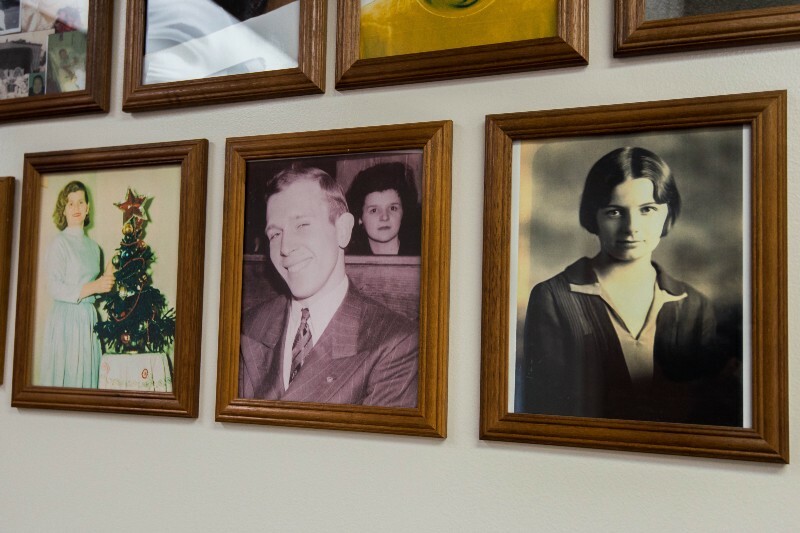 You might find your place in society, you may even find immortality and all because you made the choice to join Cryonics at this stage in your life. Some pictures of clients of the Cryonics Institute. Will we see these people walk the Earth again, not aged one bit since this picture was taken? So what would you do? Will you take a chance of living a ‘short’ life compared to centuries later with newer technologies, but live this life to the fullest? Or do you want a second chance at life if it can be given to you? Would this be a case of ‘you never know until you try’? Credits for the pictures go to Dough Coombe of the Detroit Metro Times.